Takeaway: Why training employees is an important investment. The most important and valuable resource any company possesses is its employees, thus, investing in employee training and retraining is money well spent. Employees change; therefore, training needs to be updated to include those new to the position. Moreover, requirements and certification standards change too. New training takes these changes into account for both new and long-standing employees. Even if new hires or new regulations are not an issue, retraining and refreshing existing employee safety measures is important to prevent accidents, injuries, illnesses, deaths and production loss due to employee injury. Many industries have special training needs due to the nature of their work requirements. The construction industry is a good example. Some employees handle heavy moving equipment, which necessitates safety measures to avoid injuries and damaged equipment. Construction workers must also work from heights. This workplace environment requires the use of special safety equipment and safety measures. Construction companies often employ contract workers. This means the employer must ensure that these workers know the safety measures and are using the correct equipment to operate safely in the workplace. These contract workers may not be familiar with the dangers on a construction site. Making sure these workers are trained and knowledgeable about safety in the workplace is no easy task. A temporary work contract may be quite short. Nevertheless, they need to be trained in safe workplace conditions and procedures. When multiple worksites and workers are coming and going at different times, it compounds the problem of employee safety and training. It is the responsibility of the employer to ensure all those on the worksite are properly trained. One way to ensure all workers have been trained and their safety certification is current is to have someone responsible for doing this as part of his or her company responsibilities. Depending on the size of the business, this job is sometimes contracted out to a company that specializes in health and safety certification and recertification. Presently, there is a growing trend in online certification. Paying for online training and health and safety orientation is often less expensive than hiring a full-time trainer in-house. 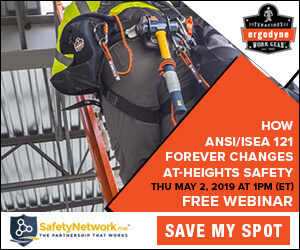 Business owners who go this route, however, must be sure that online trainers are qualified and are teaching the health and safety knowledge and strategies required to fulfill OSHA and specific industry requirements. Online training is so popular because it is economical and fits into flexible work schedules. Moreover, individuals taking the certification can proceed at their own pace. In addition to formal certification completed by an employee to prove his/her understanding of health and safety measures, there are other ways a company can make sure employees know their employer puts a high premium on health and safety. A great introductory strategy is for the employer, or designated individual, to take the new hires on an orientation walk of the facility. During this walk, pointing out safety gear, safety equipment and safety measures is a good way to instil in new employees an understanding of health and safety importance. This orientation walk-and-talk is one of the most effective ways to prevent accidents, injuries, deaths, thus keeping the accident and lost employee hours to a minimum. A good track record can save a company millions in fines, higher insurance rates and lower productivity due to injury or illness. When potential employees learn that a company places a high premium on keeping its employees safe and well through certification, workshops, special safety equipment, an vigilance in the workplace, they look more favourably upon the company as a good place to work. In large companies where there may be multiple work sites and/or employees are coming and going regularly, how does an employer keep track of employee safety certification? It is vital that the employer have assurance that his/her work force is qualified and knowledgeable about health and safety. Failure to ensure this certification can have disastrous results. The worker himself may be injured or killed as a result of unsafe working procedures. He/she may cause other employees to be injured or killed because he did not know how to operate his task or equipment in a safe manner. Work hours can be lost, expensive equipment can get damaged or destroyed, and the company and supervisors can be subject to heavy fines. Insurance rates can also skyrocket and the company may suffer financial hardships due to its poor public image over health and safety incidents. Every company needs a way to check on its employee certification. The supervisor also needs to know that employees are doing their jobs safely and that the workplace is safe. Employers and supervisors need a way to check on health and safety qualifications and operations immediately. Thanks to software and hand-held devices this is now possible. Using a cloud-based system means that reports are available to all supervisors and owners so that can track the certification and in-service training each employee has received. Supervisors can upload information about safety concerns immediately so it is available for OSHA, WHMIS, and insurance or personal employee file purposes. Employers or supervisors can immediately verify that an individual employee is certified to do his/her job in a safe manner.